The One Utama transportation hub is a bus interchange in Petaling Jaya. It is located next to the newly expanded New Wing of 1 Utama Shopping Centre at the Central Park Avenue. This bus hub is served primarily by RapidKL buses. 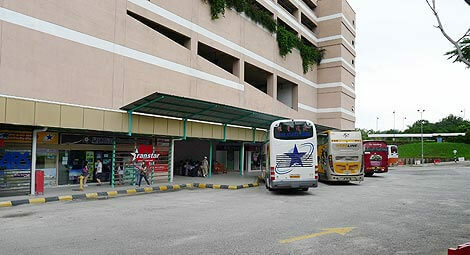 Aside from the public buses, Billion Stars and Seasons Express are two operators with routes provided from this bus terminal to destinations such as Singapore, Penang and Johor Bahru. Getting to One Utama is simple due to its accessibility through the Damansara-Puchong Highway. Travellers are able to gain access to this station by bus or taxi. Travellers can also opt for GrabCar as an alternative as well. One Utama has also become accessible through the use of the MRT and later boarding a free shuttle bus to the mall. CatchThatBus provide users with the convenience of booking online bus tickets from buses operating at One Utama Bus Transportation Hub. These buses provide daily trips to and from One Utama Bus Transportation Hub to numerous destinations. You can book your bus ticket online from our website or via mobile app which can be downloaded for free on Google Play or App Store.